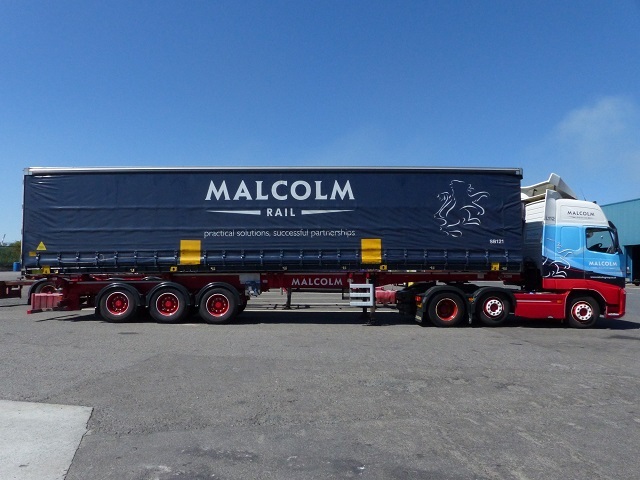 Malcolm Logistics, a leading independent provider of third party logistics services, has ordered 41 Class A swap bodies from trailer and commercial vehicle body manufacturers Cartwright. This unique design is a higher rated swap body than normal and runs at a gross weight of 34,500 kilos with a tare weight of the box of 5680 kilos. The swap bodies have been designed to a rail code of S44 and UIC approved by Network Rail. 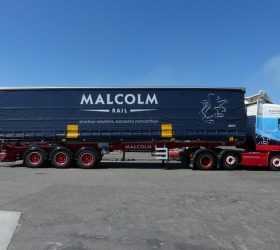 They can run up to a gross combination weight of 48 tonnes (compared to a road legal limit of 44 tonnes), future-proofing the vehicle should legislation on this change. These swap bodies are comprised of a unique design in order to achieve the higher operating weight with a low tare weight to maximise payload.